* Sell signal for bonds TLT. * Sell signal for gold. * Sell signal for GDX. * Partial profits signal for SBUX, a 10% gain in 20 days. 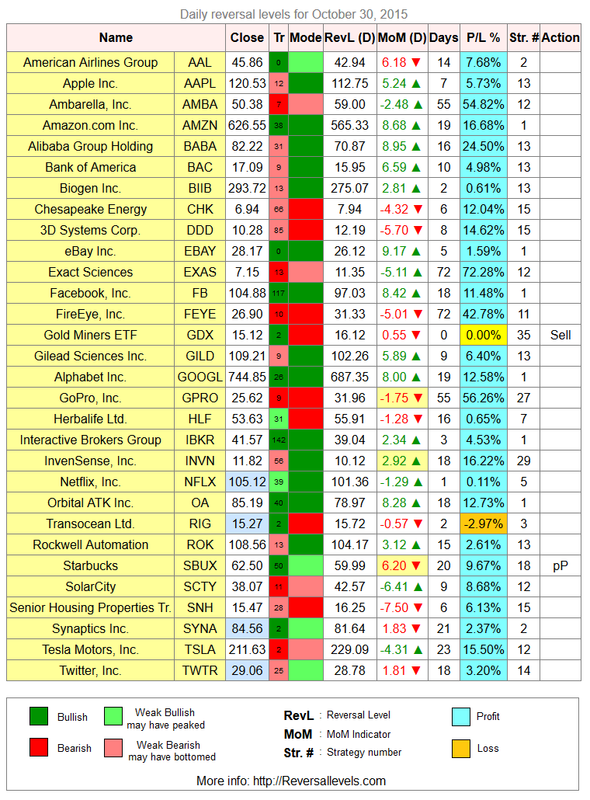 The current reversal levels for more than 1500 stocks and etf are available here ($1.50). Comes with full instructions and strategies for using the reversal levels and the MoM indicator. You can also take a monthly subscription at a discounted rate. 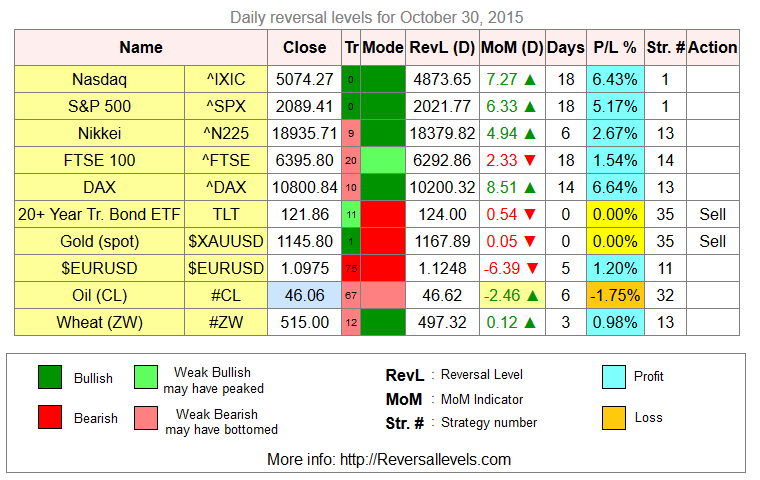 The latest weekly reversal levels are available here (Free).